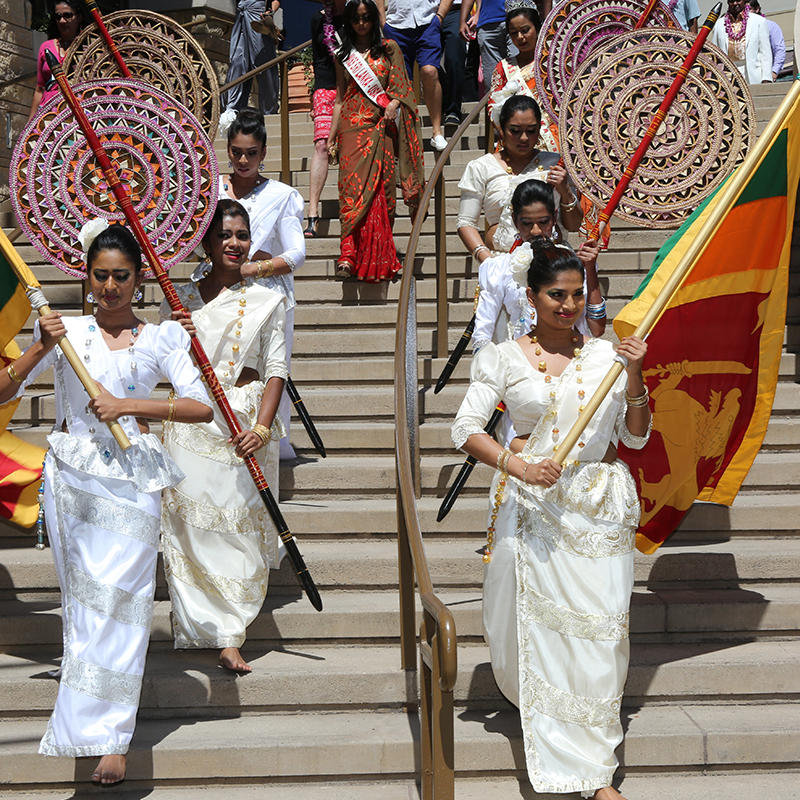 What is Sri Lanka Day? 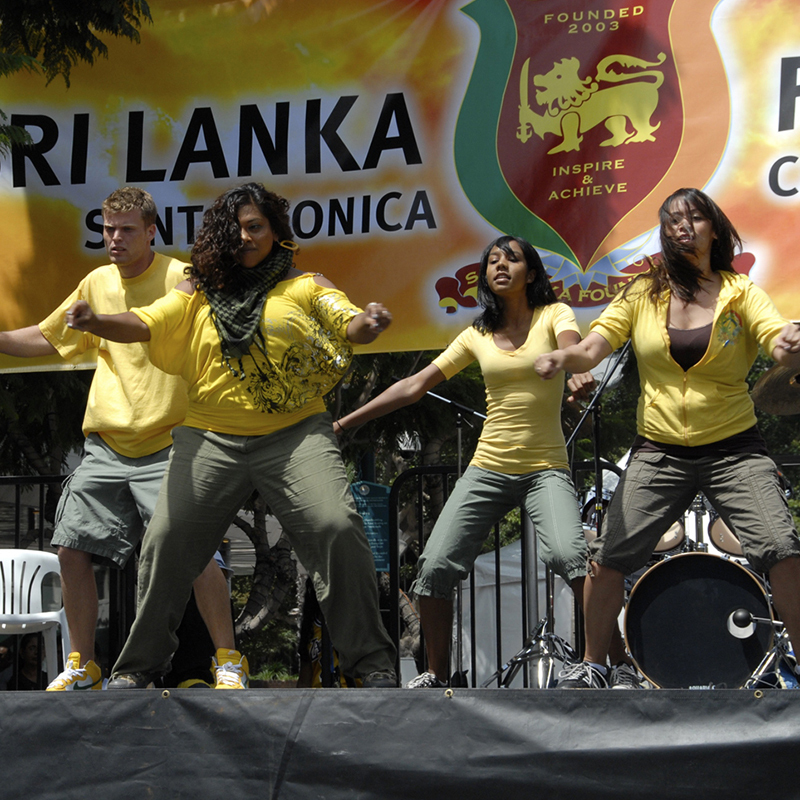 Sri Lankans often refer to themselves as “Lions or The Lion Nation”. One of the reasons they do so is due to the obvious lion symbol on the country’s flag. The other reason is less known but much more meaningful. The lion has frequently been linked to words such as courageous and proud. 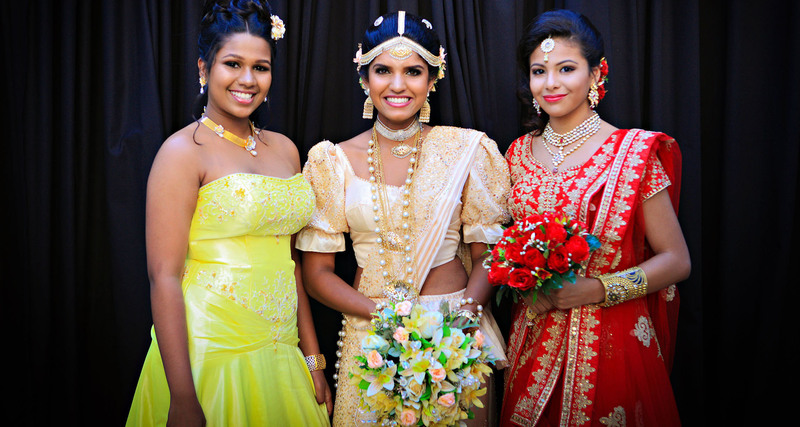 The Sri Lanka Foundation is a foundation dedicated to the preservation of Sri Lankan culture. It strives to exhibit courage and pride in their charitable work and events. 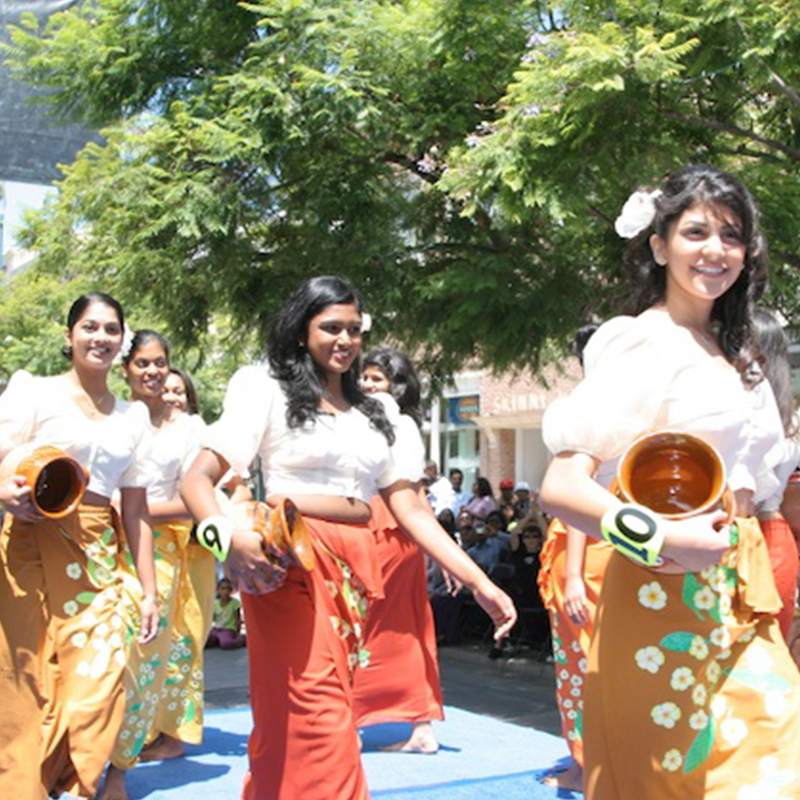 One of the foundation’s most significant events is “Sri Lanka Day”. 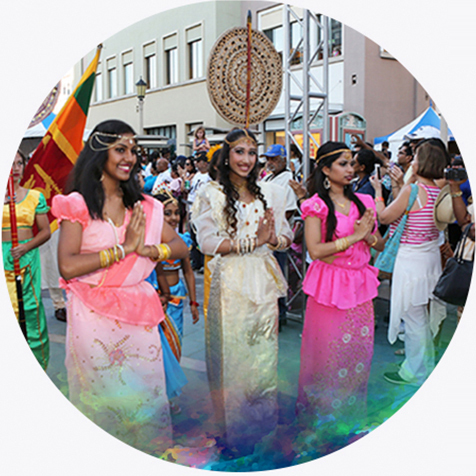 Every year the foundation works diligently to bring the sights, tastes, colors and general feel of Sri Lanka to spectators who gather in one location from all over California. 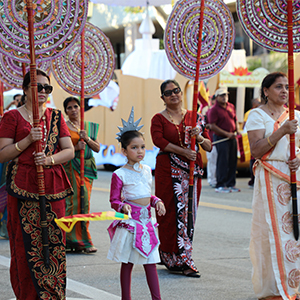 It is an annual celebration and tribute to the culture and heritage of the Sri Lankan people. In coordinating the event the foundation seeks to inform the public about their country and its customs. The foundation also aspires to bring generations of Sri Lankans together as a community, to pass along history from one generation to another. 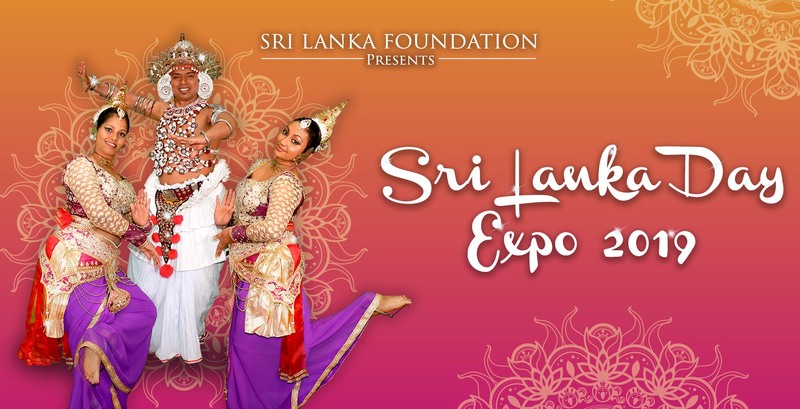 The event will take all who attend on a short trip to Sri Lanka through traditional foods, music, dances, art, and theatre. Attendees will listen to the echo of handmade drums each with an individual tone. 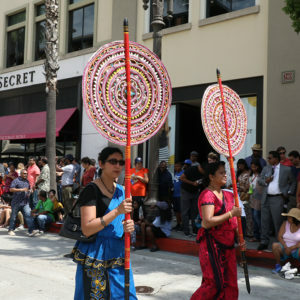 They will experience a visual feast of vibrant costumes, colorful clothing and ornate jewelry. 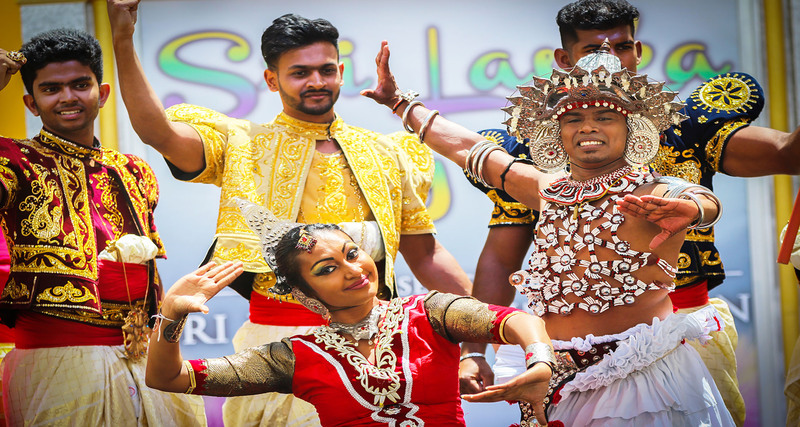 Participants can explore the spices and aromas of curries and traditional sweets while being captivated by dancers and performers. Children and adults alike will revel in the Kandy Perahera the famous Sri Lankan parade that features theatre elephants of equal size to real elephants. All these experiences can be enjoyed without ever leaving California. 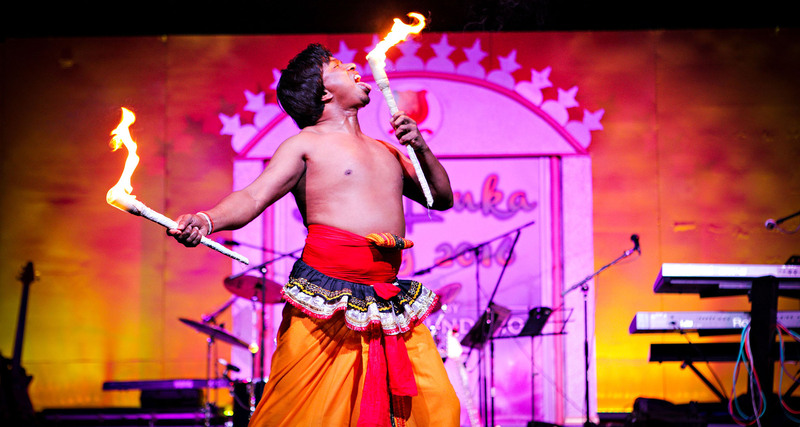 In previous years “Sri Lanka Day” has attracted more than 100,000 visitors. 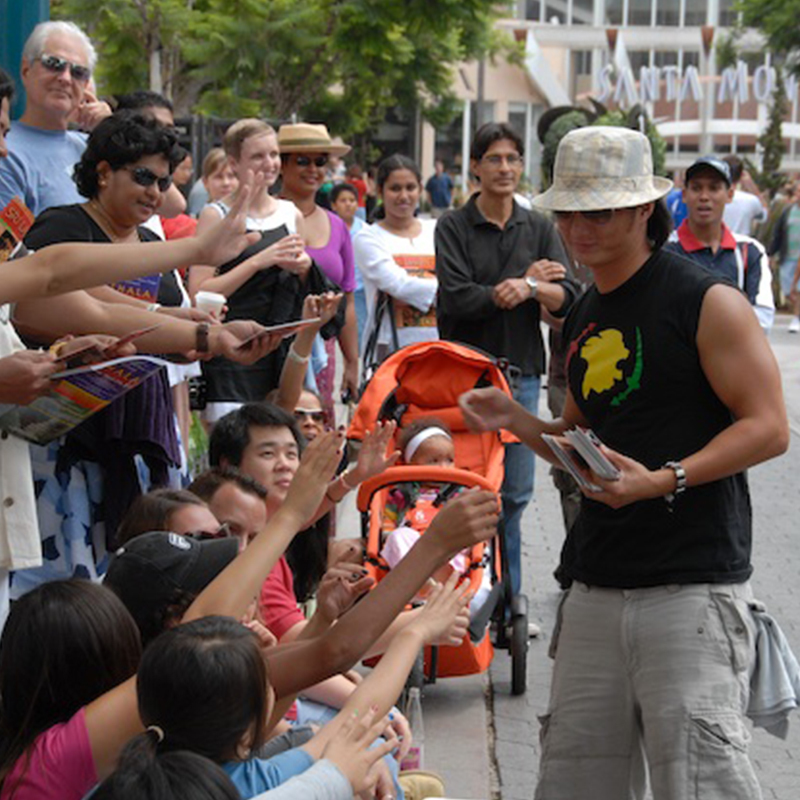 In 2015 it became particularly special as it was the first year the event was hosted in the city of Pasadena. It was also the first year the foundation sponsored their own dance troupe to perform. 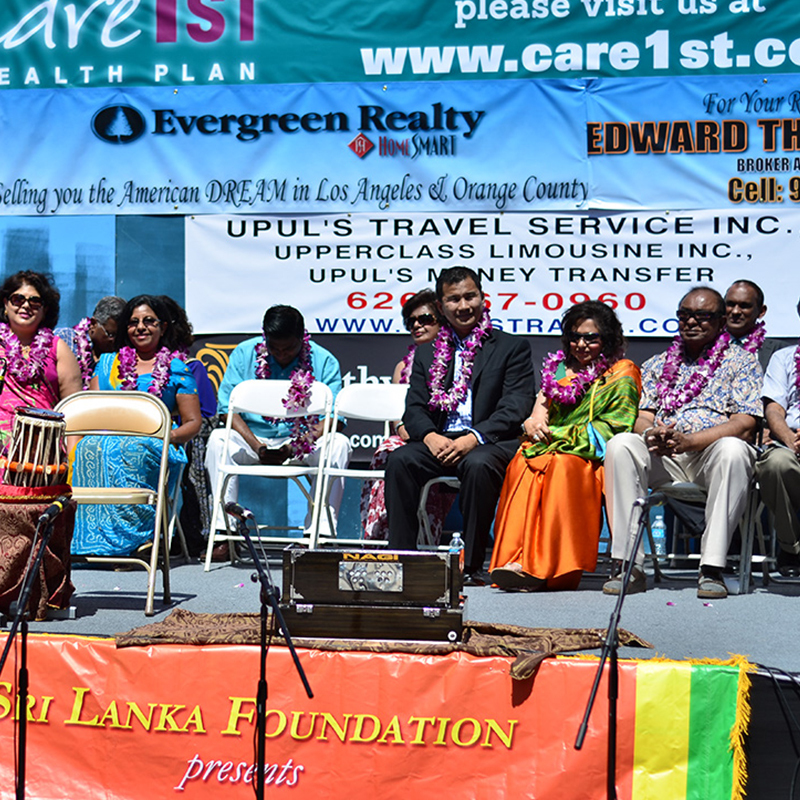 Every year the foundation works harder to reach new heights with “Sri Lanka Day”, so stay tuned for more details on next year’s festivities! 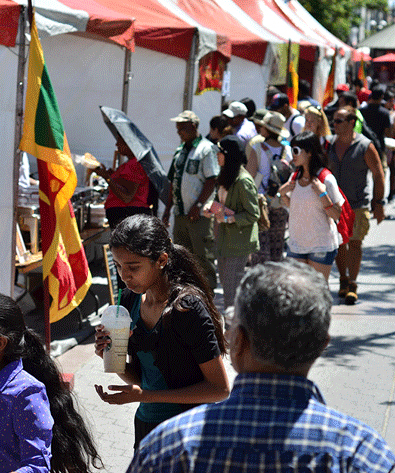 In previous years “Sri Lanka Day” has attracted more than 100,000 visitors. 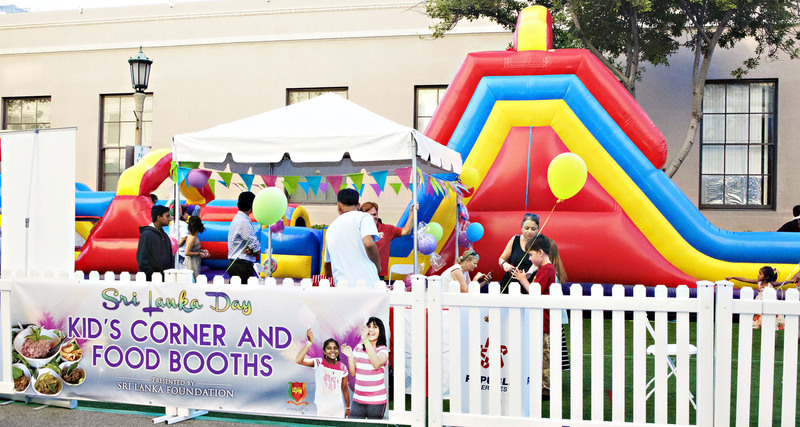 In 2015 it became particularly special as it was the first year the event was hosted in the city of Pasadena. It was also the first year the foundation sponsored their own dance troupe to perform. Every year the foundation works harder to reach new heights with “Sri Lanka Day”, so stay tuned for more details on next year’s festivities! Sri Lanka Foundation is a 501 C (3) non-profit organization formed in June 2003 by Walter Jayasinghe, M.D., a well-known Sri Lankan-American physician in Los Angeles. 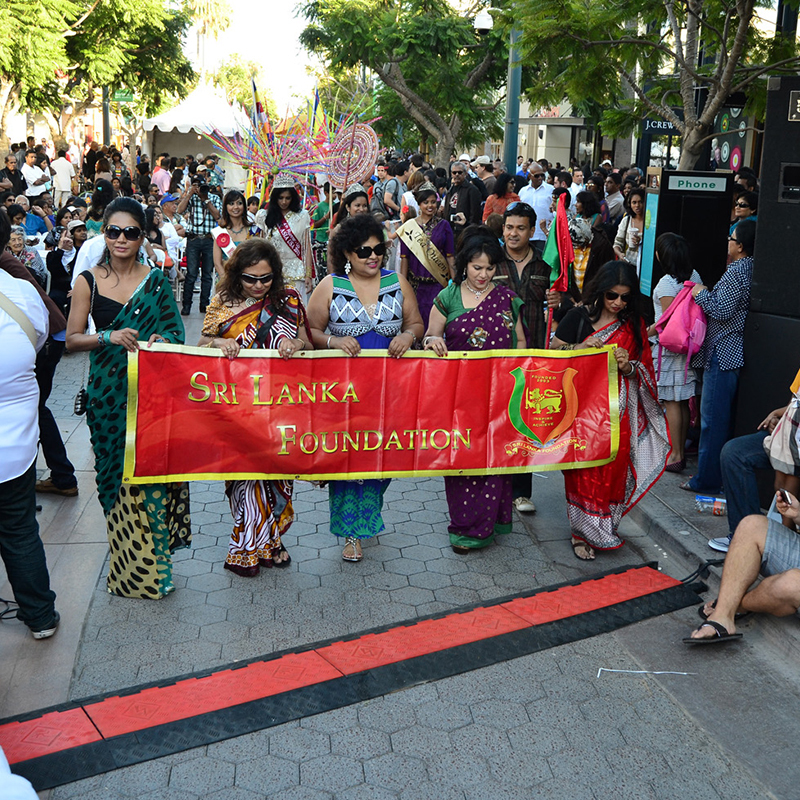 With its head office in Los Angeles, California, the main focus of Sri Lanka Foundation is to promote Sri Lankan culture in the United States and worldwide. Relive All Our SLDAY Moments! Please click the button to fill our Volunteer Registration Form. Please fill all details in the below registration form. 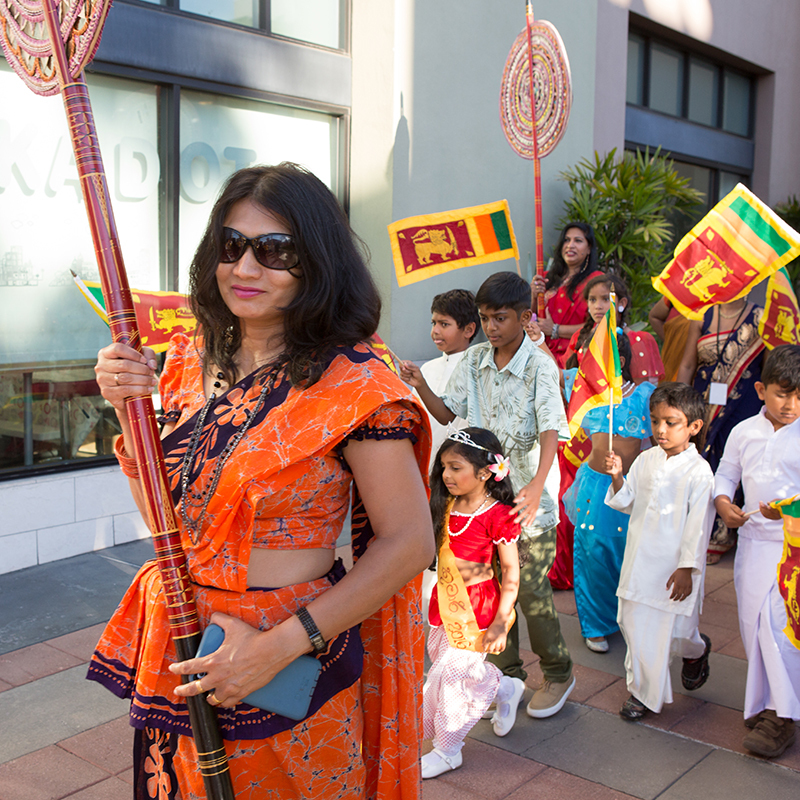 Want to Participate in the Sri Lanka Day Parade? 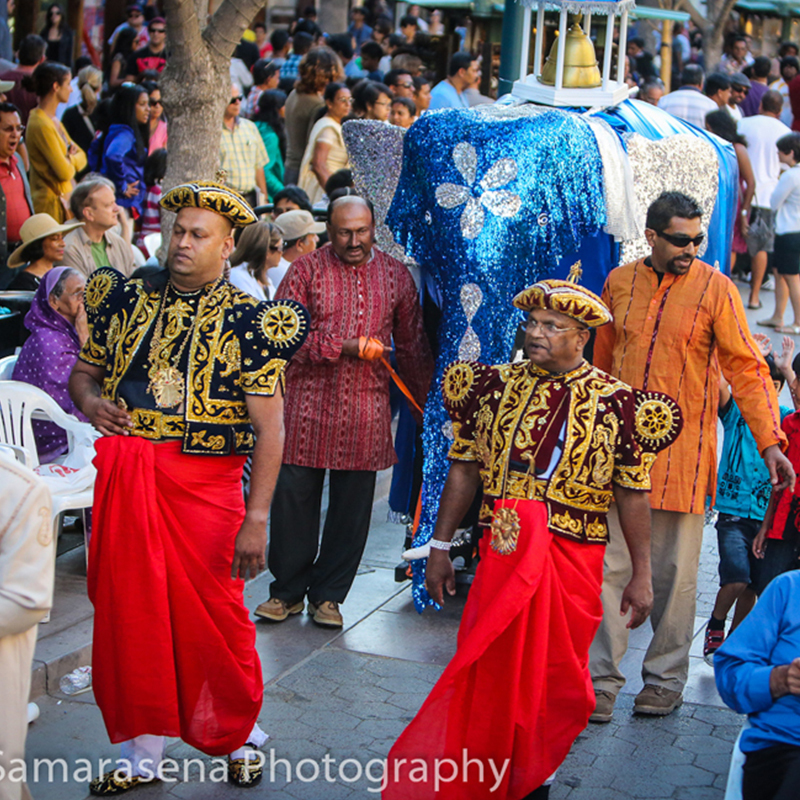 The “Pageant of Lanka” is a carefully orchestrated parade that goes through the festival and depicts the 235 year old Esala Perahara in Sri Lanka. Magnificent theater elephants, dancers in colorful costumes & feathers, various varieties of drummers, whip crackers, flag bearers and Nilames make this parade entertaining. Participate today! Please fill all details in the below application form. Please provide complete details of items you intend to sell. Promote your business at Sri Lanka Day! Booths are given on a ﬁrst-come-ﬁrst served basis. 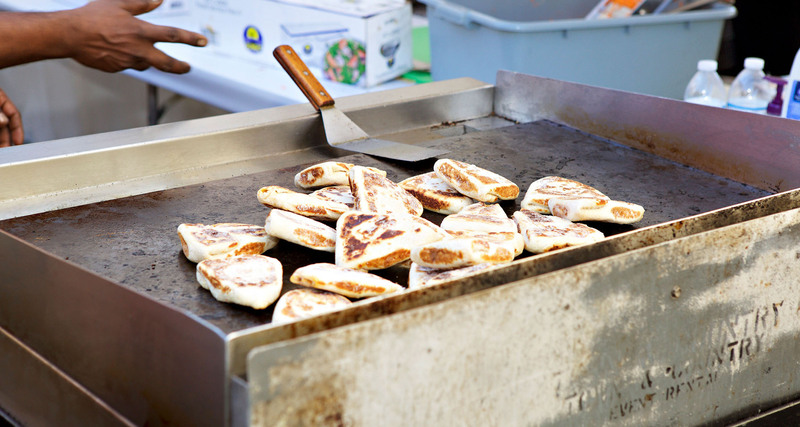 To take part in the Sri Lanka Day Expo, all food exhibitors must have a permit issued by the relevant authorities to handle, serve, and sell food to the public. I have the required permit/license issued by the relevant authorities to handle, serve, and sell food to the public. I will attach a copy during this registration. I do not have a license but will send Food Handlers Permit for consideration. You must show proof of non-proﬁt status to qualify for non-proﬁt rate. Food exhibitors are only allowed to sell food. 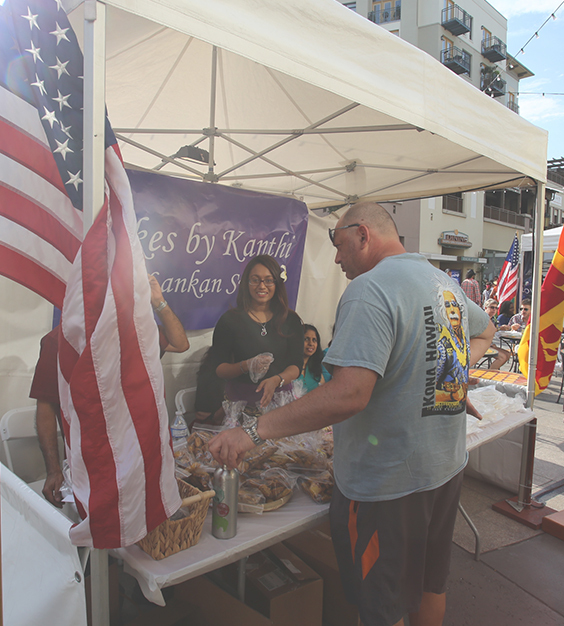 In order to have a food booth, you have to be of Sri Lankan origin or selling Sri Lankan products. The price for food exhibitor booth is $700.00 and Non-Profit $600.00. Booths are limited and the best booths are given to those who make their payments first. You will need to complete the “Food exhibitor” application and submit with payment to reserve your booth. Each booth is 10 feet x 10 feet and is given a table (8 feet x 3 feet), two chairs and a cooking area next to the booth. You will also have access to a common kitchen, sink and freezer to store your food items. 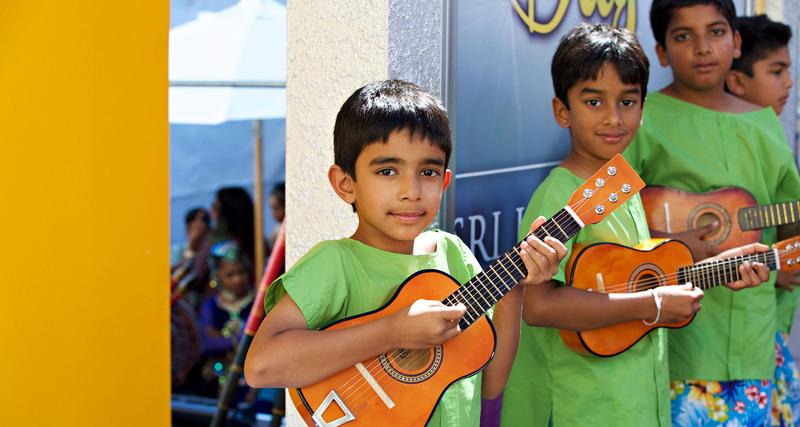 If you need any additional items for your booth please contact Shirani at Sri Lanka Foundation (213) 483-0126. Becoming a Food Exhibitor is easy as 1, 2, 3!. Please provide your EIN # $250 You must show proof of non-profit status to qualify for non-profit rate. Please contact 213-483-0126 to obtain your booth number after your payment is made. Retail exhibitors are allowed to sell goods and services that are not food. Booths are limited and the best booth locations are given to those who make their payments first. You will need to complete the “Retail Exhibitor” application and submit with payment to reserve your booth. Retail exhibitor booth rates: Non-profit organization rate is $250.00 (You must provide proof of non-profit status) Other Organization rate is $400.00 Booth Information: Each booth is 10 feet x 10 feet. Each booth will have a table (table dimensions: 8 feet x 3 feet), two chairs and one 110 volt power outlet. © 2015-2018 Sri Lanka Foundation. All Rights Reserved. Website by DG Studio.